A recap from our previous post: Recall any sales encounter you have had which has left you with a bad taste. That is called Transactional Selling where the sales person is only interested in selling his product/ service to you. 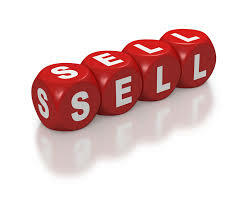 Relational Selling, however, is different. Relationships are the key to life. Emotional Intelligence trumps IQ every single time. Never lie. It is a sign of the times that we even have to say this. Sometimes people think that small lies are okay. However, invariably small lies become bigger lies and then more lies are needed to support the previous ones. Always put yourselves in the buyer’s shoes. Would you rather deal with people that you cannot trust or with those who are honest and upfront? Know your proposition cold. What does this mean? Very simply, know your business, know your costs, know what you need to achieve and therefore what you can and cannot do. Let’s assume that you really need the order. Be sure to know the lowest price you can make this work. What if the customer wants a large quantity quickly? Before you say yes, be certain that you can deliver both the quantity and meet the timeline. This is what it means to know your proposition cold. Commit to what you can do and will do. No more, no less. Know your customer’s business cold. Yes, it is your job to know your customer’s business really well, especially if the customer is a buyer for a large organization. He may have responsibility for many products and may not have detailed knowledge about your product category. Understand your customer’s business better than he does. You should become the category expert that the customer turns to whenever he has questions or is seeking new ideas. Start with the customer’s needs and not your needs. Many companies do not approach it this way. This opens up greater opportunity for you as you embrace a “customer centric” approach. This is the essence of the Art of Selling. It’s time to turn your attention to how you will communicate with your customers. Promotion embodies both personal and non-personal interactions. Let’s examine the myriad possibilities moving from the micro to the macro. At the outset you may have a very small budget and may have to start with digital media only. As the business grows and the marketing budget increases, you will be able to utilize other media. Website, Podcast, Webinars, E-mail Blasts, Blogs, Mobile, Video, Facebook, Twitter, Banner Ads, Social Networks. As you move from micro to macro media the costs increase rapidly, as does the reach. However, be sure to focus on effectiveness. While a Super Bowl ad might do wonders for your ego and social standing, it may not be the most cost effective use of your money. Always focus on what will work with connecting you and your message to your customer. Small entrepreneurs are better off starting with social media, free promotions and in-person sales calling. Creativity will be a key ingredient of your success as will persistence and resilience. You will be your best marketing program and sales agent. Sarah Levy, a friend and frequent guest speaker in my classes, has a love for baking and started her business “Sarah’s Candies” in her mom’s kitchen. She called on many nearby stores but her big break-through came when a buyer at Whole Foods decided to try her cookies in a few stores. The rest is, as they say, history. Luck, for some reason, seems to favor those with initiative and a willingness to work hard. The greatest and purest form of marketing is word of mouth: nothing beats somebody raving about your product and telling others about it. This is called a referral. Word of mouth marketing and the power of customer loyalty is a powerful tool that successful brands use. Companies like Disney, Intuit, American Express and Microsoft use a metric called the Net Promoter Score (NPS) to measure how likely a customer is to recommend a firm or a service to a friend. Higher customer loyalty translates into a higher score, which augurs well for the growth prospects of the business. Companies like Zappos and Warby Parker insure high NPS by focusing on excellent customer service as a way to build brand identity and drive growth. Focus on figuring out how to get referrals. In today’s social media, going viral is the ultimate referral. How should you price your product or service? It is normal for entrepreneurs to want to price low to try and get sales to get started. This is understandable and sometimes the best approach at the start. However, you must focus on what the ongoing sustainable price will be. These are the key components of pricing. While being competitive, do not underestimate the value you are creating. Why are the prices at Whole Foods higher than at other supermarkets? It is because they are perceived to provide premium, higher quality products that satisfy the functional, social, and emotional utilities of their customers better than the competition. Would lower prices lead to more sales? 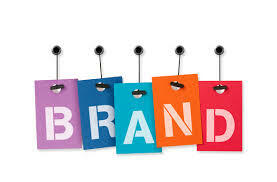 In the short run perhaps, but in the long run it would diminish the value of the brand. You should experiment with pricing. But always remember: a low price is rarely the right answer. Only one business – Walmart, McDonald’s, Amazon – can be the low price leader in a category. Find ways to increase value and then price to reflect this higher value.